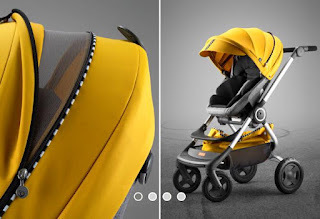 Mum of Five Staying Sane: Style your Stokke Scoot stroller with a sporty new look for 2016. NEW sporty racing Style kit with seat pad and bag accessories in four fab colours. 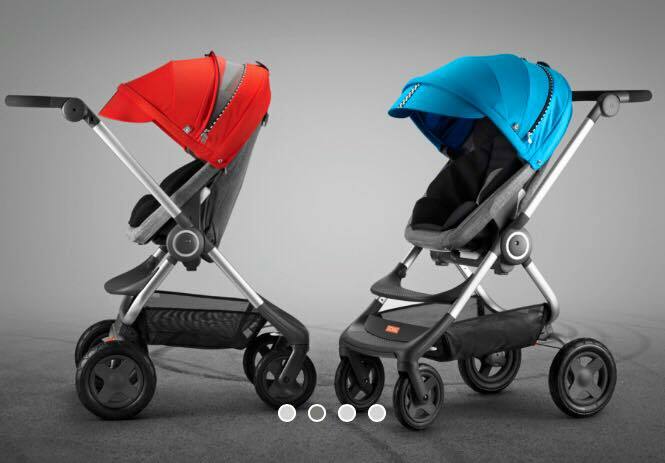 Style your Stokke Scoot stroller with a sporty new look for 2016. NEW sporty racing Style kit with seat pad and bag accessories in four fab colours. For life in the fast lane new Stokke style kits for the Stokke Scoot have been made in the tradition of European racing and in four fab colours. 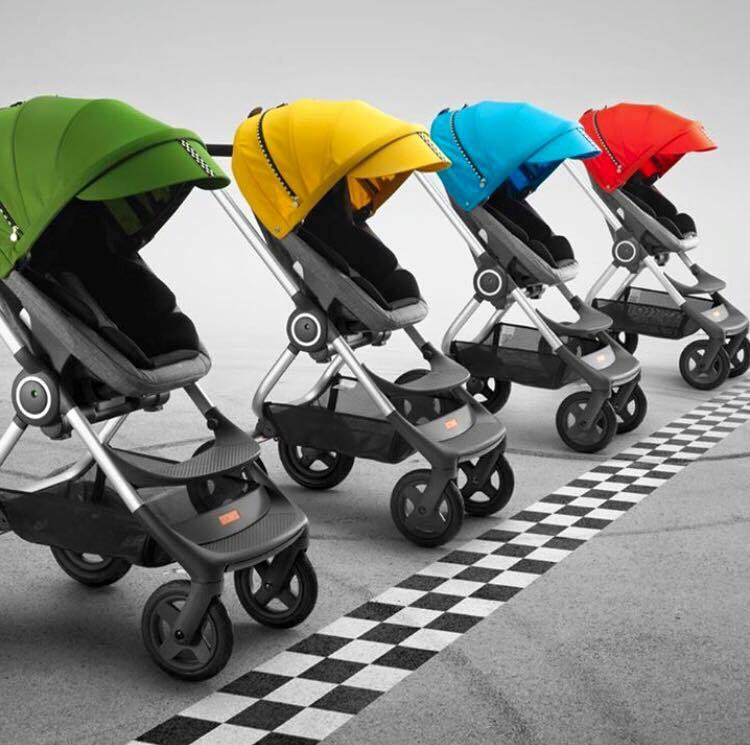 The race is on to get one of four new limited edition style kits just for the Stokke Scoot, inspired by the traditional colours of vintage European racing cars, the colours are referencing the spirit of classic racing heritage. Hood with visor; Checkered flag striping together with subtle detailing give a premium feel to this sporty kit. 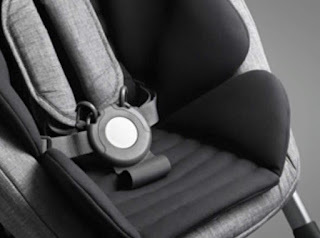 Sporty padded seat inlay; Made to look like a motor sport seat, the seat inlay gives extra comfort for the child with plush cushioning and a suede feel. 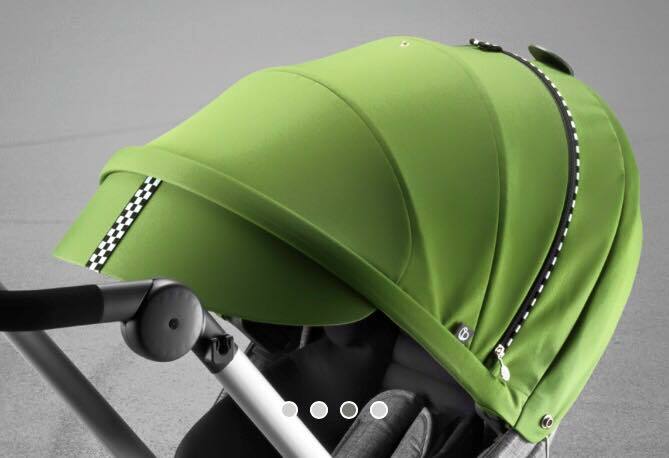 The bolstered channel pattern increases air flow and reduces moisture. 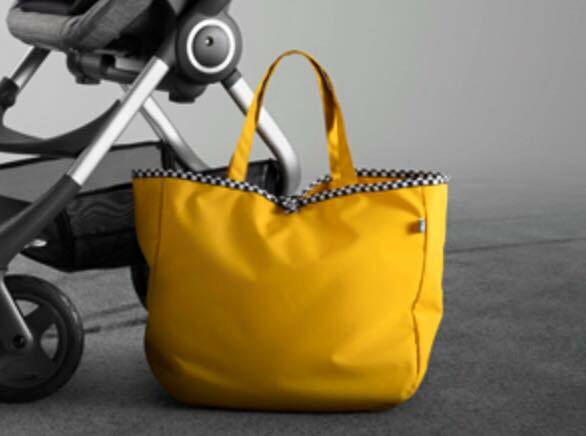 Shopping bag for the parent; In the same durable, quality fabric and colour as the kit for superior styling and practicality. 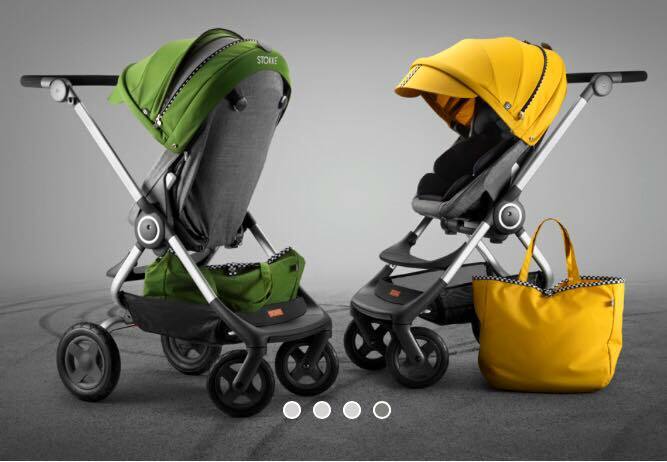 The smart engineering of Stokke Scoot makes it nimble. Compact folding, excellent manoeuvrability and a small footprint make the stroller a dream ro push and the ideal solution for travel or navigating busy streets. the soft suspension, swivel wheels and a sturdy chassis give a comfortable, smooth ride for baby and parent. The seat unit is placed high up for bonding with your little one.